But there's nothing there yet, though. The said URL, http://next.tales-ch.jp/, is indeed online, but is currently still closed to the public (requires authorization username and password). The URL is said to be published in the issue of Jump Magazine with the Next Tales of announcement, so most people are assuming the site will be open beginning next week Monday or so. And if it will really be open by Monday, it will most probably be another countdown site. 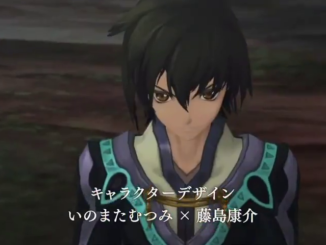 Though there's no info whatsoever about the "Next Tales of," those who get Jump early are saying that the concept art presented in the magazine features a modernized city, with what seems to be a train running towards a far away silhouette of many buildings. In the meantime, we'll be keeping an eye on the URL, as well as scrounging around 2ch for possible updates. Stay tuned! 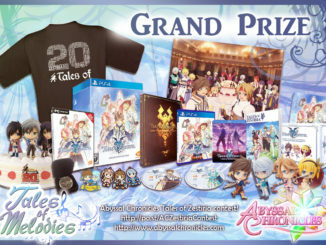 AC's Tales of Melodies Tales of Zestiria Contest! 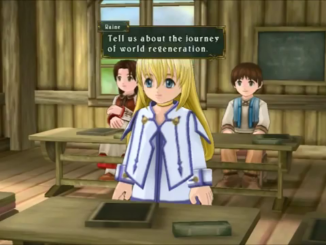 Chance to Win The Zestiria Collector's Edition!